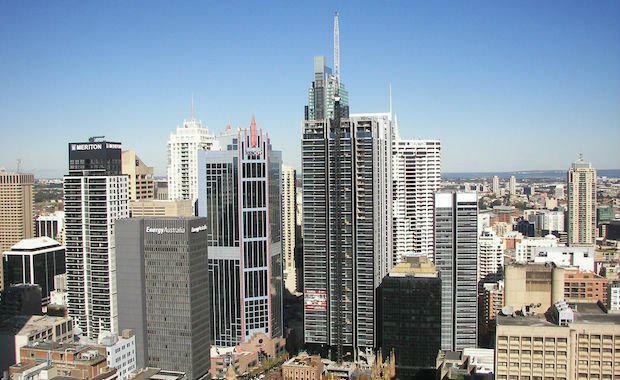 Leading industry analyst and economic forecaster, BIS Shrapnel says Sydney’s inner city apartment market boom is expected to continue over the next couple of years on the back of buoyant investor demand, underpinned by low vacancy rates, the expectation of further price growth and low interest rates. BIS Shrapnel said that high levels of off-the-plan sales in the next year to two years will continue and drive further rises in new inner Sydney apartment completions to an historic peak by 2017. However, this sustained level of additional stock has the potential to tip the inner Sydney apartment market into oversupply. BIS Shrapnel estimated around 5,800 apartments in inner Sydney are currently under construction with further projects currently marketing, or likely to go ahead, expected to result in 11,500 new apartments being completed over the next three years. said that investor demand for inner Sydney apartments was initially driven by attractive yields in a low interest rate environment, but is continuing to be encouraged by the expectation of further capital gains. “In the absence of any negative news in relation to the Sydney residential market, investor demand is likely to remain buoyant,” said Mr Zigomanis. Demand from overseas investors is also expected to remain strong for now, with overseas buyers attracted by the stable economic and political environment of Australia, as well as the transparent property market. Measures to cool the property markets in their home countries, such as in China or Singapore, by restricting local investment are also encouraging this outflow of funds. “To some extent, the inner Sydney apartment market is playing ‘catch up’ after almost a decade of weak demand for new apartments and limited price growth,” said Mr Zigomanis. While the anticipated peak of 4,500 apartment completions by 2016/2017 is expected to be on par with the previous 1999/2000 peak, the average supply forecast of just over 3,800 apartments per year will be above any previous three-year period. Owner occupier demand is also likely to grow, with rising inner and middle ring Sydney house prices encouraging some tenants to instead upgrade to a larger apartment in inner Sydney as an owner occupier, while also encouraging empty nesters and retirees to more easily trade down from their existing house to an apartment. “Landlords of newly-completed apartments will have to be more competitive to attract tenants over existing stock, while owners of older apartments may have to discount to attract tenants from neighbouring suburbs,” said Mr Zigomanis. Mr Zigomanis said that the forecast downturn from 2016/2017 will be relatively shallow, with vacancy rates not expected to reach the levels of the mid-2000s downturn following the last apartment market boom. Therefore, any underlying excess supply should be mopped up relatively quickly, with an underlying deficiency re-emerging towards the end of the decade to underpin the next upturn in the cycle. However, demand in the short term for inner Sydney apartments is expected to remain buoyant, with low vacancy rates and low interest rates helping to fuel the market and drive median price growth averaging around six per cent per annum over 2014/2015 and 2015/2016. This level of growth is expected to be ahead of the magnitude of decline in prices anticipated over the following two years, with the decline clawed back over the subsequent years as the market tightens again. As a result, total price growth of around 21 per cent is forecast through to 2021.